Jason Segel and Ed Helms have led parallel career paths in a lot of ways. They’re both small screen stars who have been industry mainstays for years, but their stars have been steadily rising since they broke out on the big screen a few years ago (Segel with 2008’s “Forgetting Sarah Marshall,” Helms with 2009’s “The Hangover”). 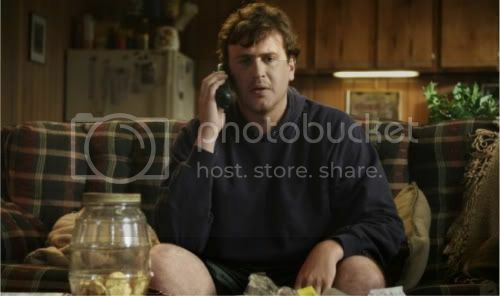 Segel plays the titular character in the the film, a slacker who lives in his mother’s (Susan Sarandon) basement. He ventures out to run errands one day and unexpectedly runs into Pat (Ed Helms), his brother who is more successful but no more sure of his place in life. They follow Pat’s wife Linda (Judy Greer) after they spot her in a restaurant with another man, and along way they get a little bit closer to discovering their destinies. Like most of Segel’s and Helms’ other projects, “Jeff Who Lives at Home” looks to be at its heart a comedy. But writers/directors Jay and Mark Duplass have a penchant for taking their actors somewhere a little different than we’ve seen them before. I’m a big fan of both actors, and based on the trailer, this film looks like it’s going to be a great showcase of their talents. “Jeff Who Lives at Home” hits theaters March 16. Check out the trailer below.